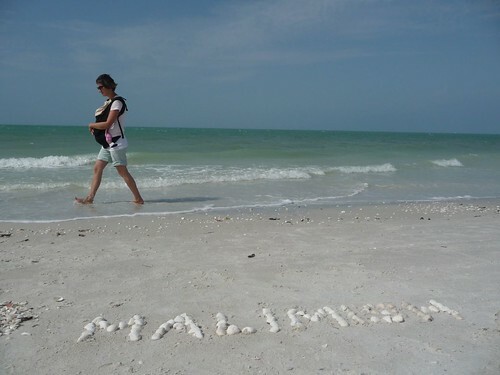 Mali Mish – Day 46: Lovers Key. Since our night was spent at Koreshan State Park’s overnight parking lot (a.k.a the boat ramp), we had to check-out of there by 8am. Which is super early for us. Our alarm was beeping at 7:30 sharp. Ava was super pissed off and wanted to sleep more. And we made it out there on-time. Fine. 5 minutes late. We then headed down the Florida coast to find a bite to eat. It was actually nice to be up and out of a campsite before our usual time of 11 am. 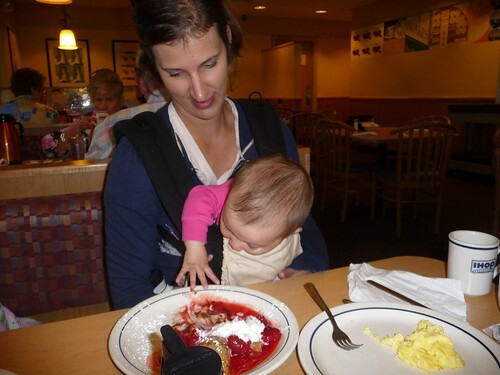 But Mila was not ready for her morning nap, as she usually is when we head out for breakfast. So today she was Miss Grabby McGrabberson. Hands off my Nutella crepes, Mila! We didn’t know what to do with ourselves today. A little rain was coming our way later in the day so whatever it was needed to be done pretty early in the day. 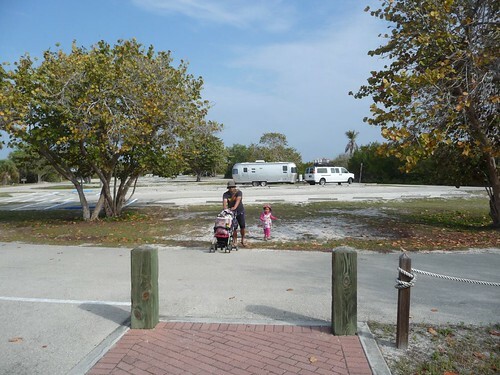 I checked our Twitter account at breakfast to find that Florida State Parks (@FLStateParks) had free admission to a park down the street from us. Score! They have free admission days for their Twitter followers. So if you are planning to visit Florida, make sure you add them to your Twitter account for free admission days and lots of other helpful information. And today’s choice of the day was Lovers Key! And we got in without having to pay the $8 day-use fee. And got to park in a empty parking lot too. 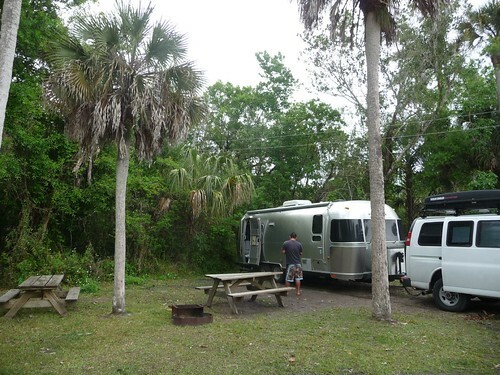 Thanks Florida State Parks!! The name, Lovers Key, was given to this area because back in the day it was only accessible by boat and it was said that only lovers traveled to the island to enjoy the quiet beach. But not today. Today the Lovers better watch out! Because there is a tired and cranky 3 year old ready to hunt for seashells. When we got to the beach, it was pretty much empty. Perfect. It was actually the warmest day yet in Florida but we could sure feel the storm coming our way. 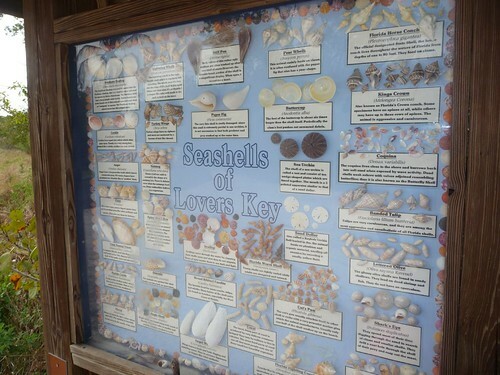 I love seashells as much as the next person but I think there is a little too many seashells around here. 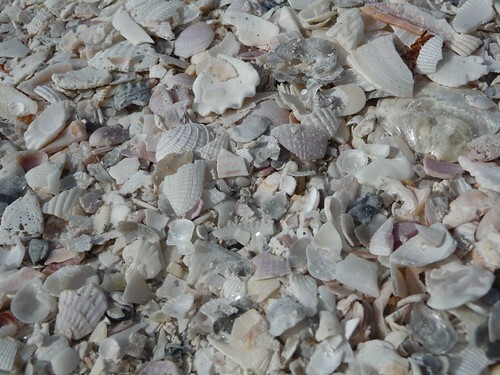 Someone needs to do something with all of these shells. Hold up. I have an idea!! 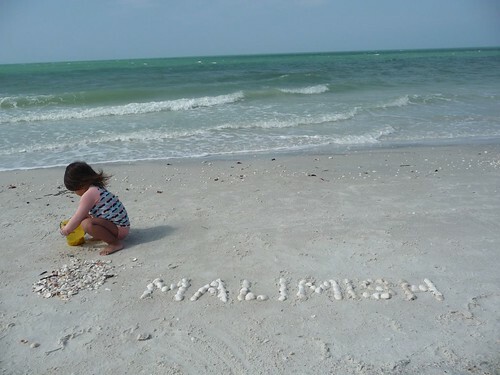 Mali Mish! It’s about time we spelled our name out somewhere on this trip. Then a couple walked past our shells. Yup, a couple of LOVERS. 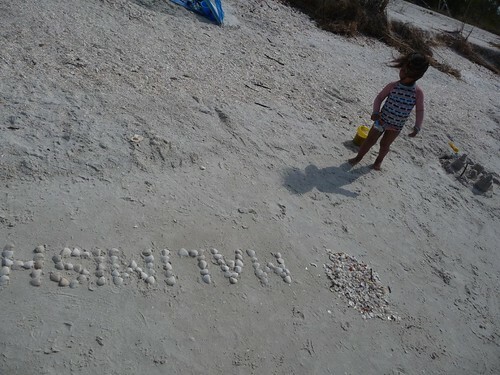 And tried to read our shells. H-S-I-W-I-hmmmm. It’s upside down!!! Hehe. They actually chatted with us for a bit and gave us a couple helpful hints for Key West. Within minutes, the wind picked up pretty good and it was our cue to leave. Next stop, Naples. As we drive further and further into Southern Florida, I am getting more and more nervous about alligators. Which is probably as silly as the people who visit California and worry about earthquakes the whole time. But have we seen any alligator crossing signs yet? Nope. But look at this one today. 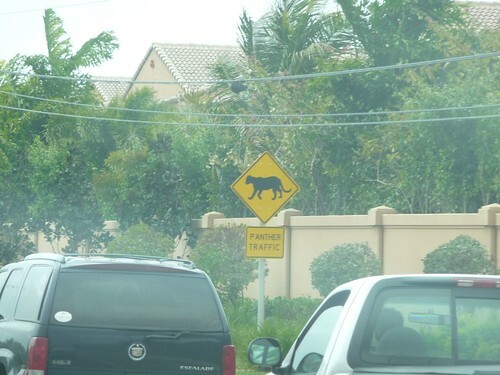 Panther Crossing?!?!?! NOOOOO!!!! This worry-wort doesn’t need anymore to worry about, thank you very much. And as we check into our campground for the next 3 days, we get this with our receipt. 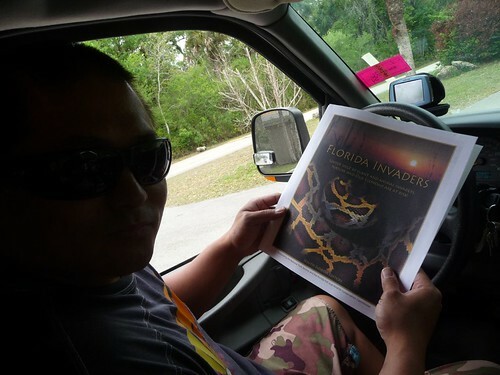 Florida Invaders? Someone pass me a brown paper bag. Time to practice my breathing. 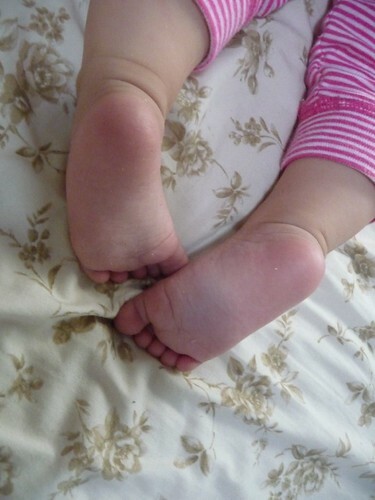 … and how to keep them away from these sweet little feet.